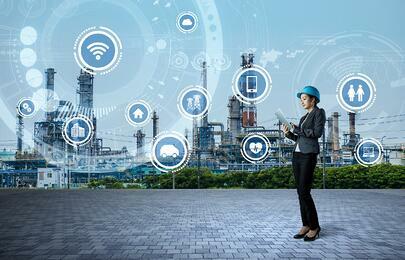 Plant floor automation, data integration, and optimization of facilities processes are critical to overall business success in today’s global business environment. 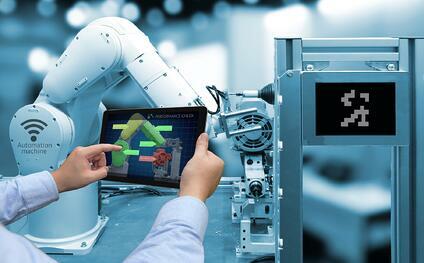 The focus on information, coupled with the introduction and implementation of Industrie 4.0, places an even greater emphasis on selecting the best partner to drive success within automation-focused projects. Knowing this, it is crucial to establish a relationship with a system integrator that understands your needs and offers the best solutions for your business. How can you approach building a relationship with a system integrator and information solutions provider? That answer will vary based on your specific company needs and individual philosophies. Potential solutions could include hiring someone directly, working with an external resource, or, and perhaps the most beneficial, partnering with a system integration firm. A system integration firm will have numerous employees on staff with extensive technical capabilities and expertise; many with specific skills and backgrounds to complement the needs of your project. This option will likely result in higher upfront costs, but if long-term support, availability, and higher resource capacity is required, this may be the best solution. Choosing a system integration firm takes careful consideration and should be weighed appropriately as you sift through the options. Take a look at the following selection criteria to help make this decision. The expertise within the system integration firm should align with a plant’s business needs; there must be key personnel at the firm with an understanding of the specific manufacturing process, both batch and continuous. It is not necessary for every team member working on the project to have in-depth understanding on the specific process, but a strong project manager is needed to guide the rest of the team as they work to understand the project needs, execute the plan and provide the best solution. It’s important the plant team communicates a clear understanding of its existing technology platforms. Having an established relationship with software vendors and suppliers also is a great benefit. Plant managers should look for industry and trade certifications along with the resumes of those who are bidding on the project. System Integrators have knowledge and expertise in more than one software platform. They can provide solutions and offer insight and advice as you replace or make modifications and upgrades to your systems. Also, many system integration firms have ongoing relationships with other qualified engineering service providers or are part of larger organizations offering both engineering services and full-service construction. These features will greatly enhance the fluidity of a project, overall efficiency, and have the potential to significantly reduce overall costs. Compatibility of business methodologies is another important factor in establishing a system integration partnership. Plant managers should know and understand the methodologies of any potential partner and determine if they align with their project execution protocols. Whether or not the firm has written guidelines and procedures in place can be a telltale sign of their experience or lack of. That’s why plant leadership should request to see their written policies to ensure compatibility. These written procedures are in place to encourage project success; they should provide a tangible guideline for communication, scheduling, budget planning, and deliverables to help the entire project team, both internal and external, understand and maintain expectations for the life of the project. Once qualifying information on the potential partner's experience and expertise has been gathered, references should be requested. These references should be within the industry being served and also should be related to projects executed that were similar to the work that will be done. This information should be used to develop a list of questions for each potential integration partner. By using the same questions for each reference, the plant leadership will gain a fuller picture of each potential partner, understand strengths, and also recognize possible weaknesses. Once the evaluation has been completed, there should be confidence in selecting the firm that best fits the company’s overall needs and the specific project requirements. This can be the start of a long-term, mutually beneficial partnership that can improve as times goes on. Dave Kaylor is senior automation specialist for Automation Plus.